The house of representatives last week endorsed the proposed budget without any meaningful alteration. The government’s budget proposal had come under heavy criticism when it was first presented to the parliament last month. The shortcomings in the budget were not in the numbers or in how it all added up. The budget simply failed to comprehend its moment of history. That was the first budget of a new federal republic. It signalled the end of a brutal insurgency. The completion of a process of political and social transformation. 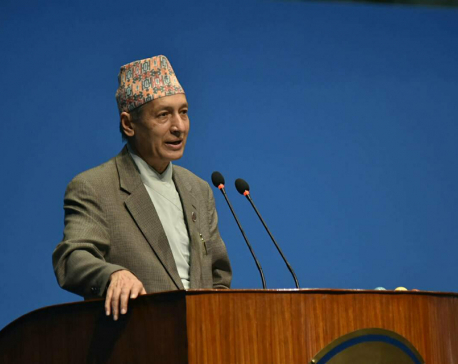 Against these hopes and expectations, Dr Yubraj Khatiwada, the finance minister, delivered a budget that failed to inspire. 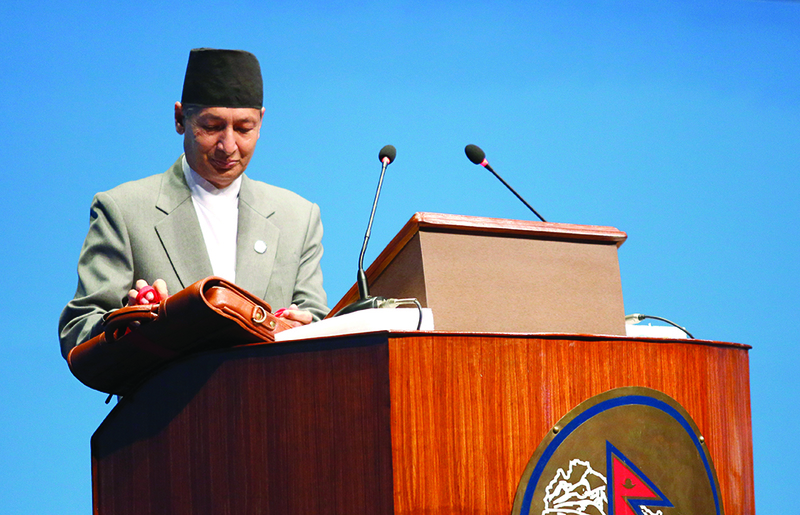 Khatiwada, one of the sharpest economists in the country with an illustrious career of leadership in the central bank and the planning commission, read the budget exactly as an economist might—a scholar reading his doctorate dissertation. He delivered the budget with zero emotion. Budget speeches are never meant to entertain. But this was no ordinary budget speech, no ordinary moment. This was a historic moment—a turning point in Nepal’s history. The budget failed to inspire as much as it failed to offer any direction for change. This budget offered nothing more than a continuation of the old. 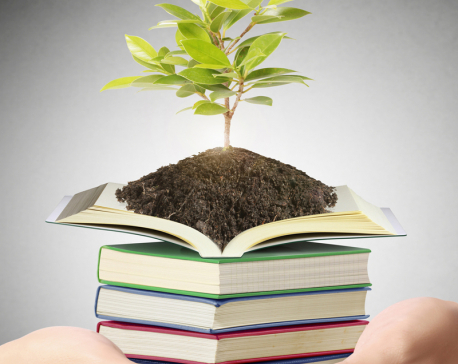 It listed the programs, initiatives and proposed allocations. In ordinary times, such a budget would have been fine. But this was no ordinary time. At the end of the speech, there was only one thing left to ponder: Did we endure two long decades of domestic strife and political instability that broke up families and cost thousands of lives for this? Across the government, there is an absence of an overarching vision and theme. There are election promises and plenty of sloganeering around prosperity. But a void in terms of where we are headed in this new era of federalism and decentralization remains. The failure of the budget to offer any meaningful vision adds to that vacuum. As a country we have clearly achieved much of the intended political and social transformation. But the third component—economic transformation—is barely underway. Like a tricycle that won’t move forward unless all three wheels are simultaneously in motion, Nepal’s overall progress is now waiting for its third wheel, economic transformation, to be put on. This is what explains the current paradox of Nepal. Most Nepalis welcome the political and social transformation. It is the basis of our optimism. But this optimism hasn’t translated into confidence that economic prosperity will follow. For most Nepalis, it is still hard to see how political and social transformation will lead to better economic opportunities for everyone. This vacuum and the absence of a vision for an economic transformation is my point of departure for this story. To understand why the communist revolution in Nepal isn’t complete, it is important to first understand that political and social transformation mean very little without the economic transformation to go with it. The communist revolution of Nepal now enters its final phase. But who are the enemies in this case? Two enemies: concentration of wealth and private sector enterprises. The budget itself was uninspiring and uneventful. But the raucous debate leading up to its endorsement in parliament offers the earliest signs for what may follow. Stung by criticism within his own party that the finance minister had betrayed the communist cause, Dr Khatiwada has pulled sharply left. The state has always had a dominant presence in Nepal’s economy. But this budget, both in spirit and through allocations, significantly expands the role of the state. In his comments following the budget announcement, the finance minister said that he thought the budget was strongly pro-private sector. He highlighted efforts to make it easier to do business (eg, a one-window policy for investments), enhance public-private partnership, encourage private sector to reinvest profits and adopt public corporation structure for large businesses. Efforts to improve the business environment will be effective only if there is space for private enterprises in the first place. This budget, and the preceding white paper of the finance ministry, lays the case for a wider role of the state. The state will play now an important role across delivery of all major services, reverse privatization and reengage in select industries. The encroachment by the state has begun. How deep the finance minister and this government allow it to go may dictate how the next phase of the economic revolution unfolds. Unlike the previous insurgency that was fought with guns and bullets, the unfolding economic revolution will be around public perception. Take the example of the highly visible battle against syndicates. Led by Home Minister, Ram Bahadur Thapa “Badal”, government began seeking to dismantle the transport syndicate that operated through a network of committees. These committees were both formal and informal conglomeration of private sector companies, licensed by the government to operate specific routes. Over time, these committees operated a “syndicate system” that controlled everything along those routes. The minister challenged these transport committees. He threatened them publicly and initiated several investigations, including on money laundering. The minister’s actions were widely supported. The public, greatly suffering with poor and unreliable transport services, quickly welcomed and endorsed the minister’s initiative. Perhaps enamoured by the outpouring of public support other ministers started their own battles. They identified other segments—construction, housing, medical services, schools, universities, license holders—labelled them as syndicates and threatened to wage war. Led by ministers, government inspectors raided shops and eateries claiming that shop owners were charging too much or selling low quality products. Whatever the intended purpose, the battle against syndicates has larger implications. It erodes public faith in the ability of private sector to deliver services. It vilifies private sector as cheats that are determined to profit at the expense of the consumer. It shifts accountability for failure away from the state and places it solely on the private sector. The transport syndicate, for example, emerged in response to the failure of the government to provide these services. Restaurant may serve stale food or shops may overcharge their customers in part because the government systems of quality control and standards management are entirely broken. The battle against the syndicate entirely has shifted public perception about the responsibility of failure from government to the private sector. In this regard, it is a largely symbolic battle designed to discredit an institution—in this case the private sector—rather than genuinely remedy a failure. The demolition of the transport syndicate has not led to improved services, nor are there any immediate plans. As the battles wage on and the rhetoric gets fiercer, we forget that it was an effort to dismantle a specific syndicate or a monopoly. It becomes a large statement about the greed and exploitation of the private sector. The rapid outpouring of public support against syndicates and profiteering makes it clear that businesses are losing the public perception battle. The economic revolution is now underway. It may be over more quickly than we believe.